Cruising has become pretty popular recently. It is an interesting way of spending your vacation in Italy and the best option for those who are looking for a romantic vacation and who would like to explore the beauty of the Italian coast. The atmosphere is really unique and you have a chance to meet other people and enjoy cruising the Italian coast and watching the sunset from a large deck. 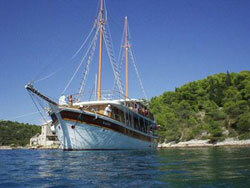 There is the possibility of going on a daily trips to surrounding islands or coastal ports as well. You can spend your vacation with friends or share a boat with others, letting the professionals take care of everything, just relax and enjoy. The choice is all yours!